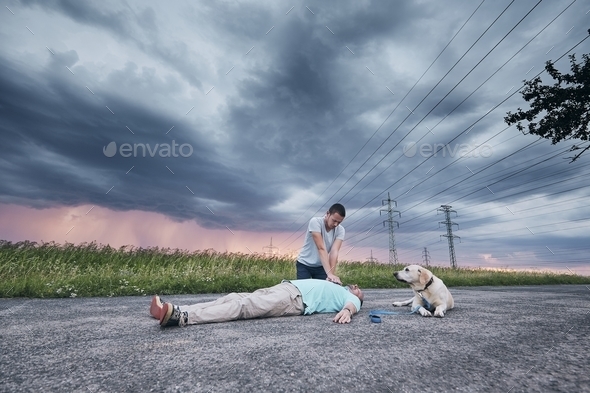 Resuscitation on the rural road against storm. Loyal dog (labrador retriever) waiting near his owner. Themes rescue, help and hope.